The weather this past weekend made it very clear that Fall is quickly approaching. 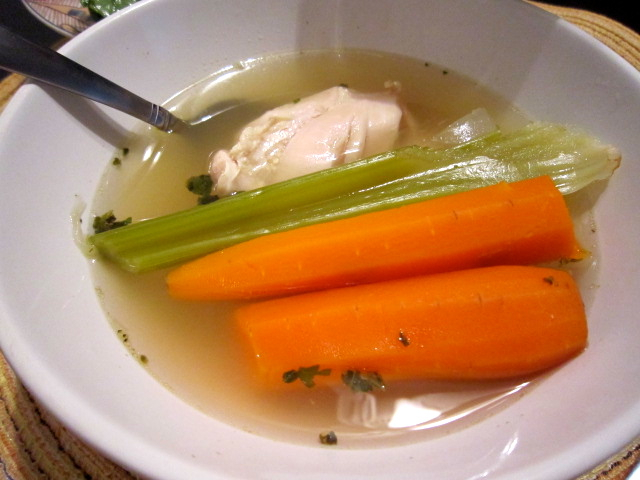 I welcomed the gray sky, light rain and the smell of fireplaces burning in the air with a pot of my Mom's Homemade Chicken Soup (and a couple episodes of Modern Family). I swear this soup cures colds, tastes like Home and feels like a big, warm hug as it goes down. 1. Boil 8 cups of water. 2. 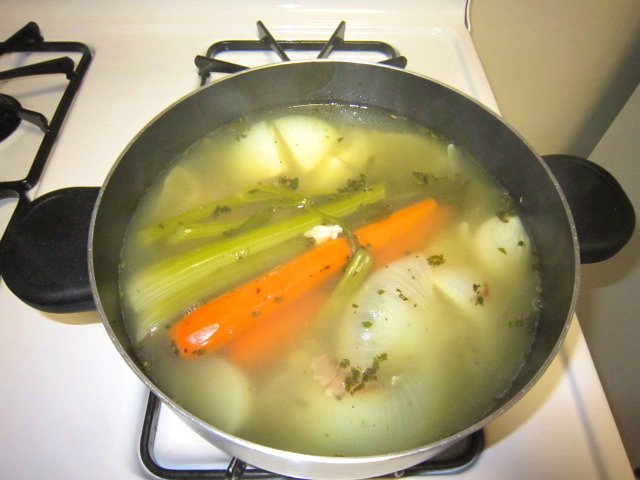 Once the water is boiling, add the chicken, garlic, carrots, celery and onions. 3. Lower the heat, cover and cook for 20 minutes. 4. After 20 minutes, add salt and pepper to taste. 5. 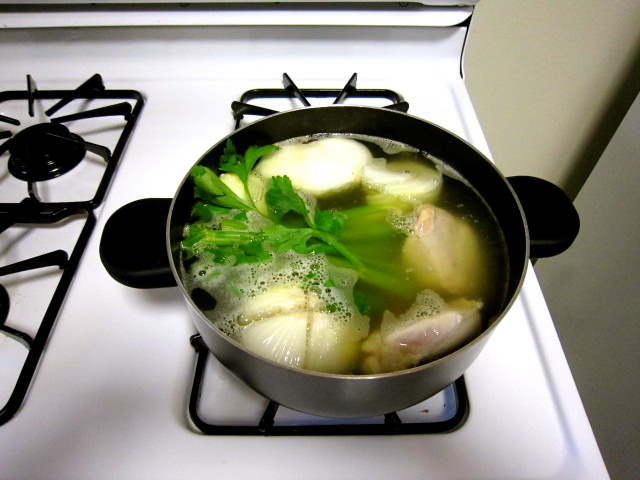 Remove the chicken and vegetables from the broth and cut them up as desired and add them back into the broth. I also like to add just a little bit of sage and a couple shakes of Oregano. 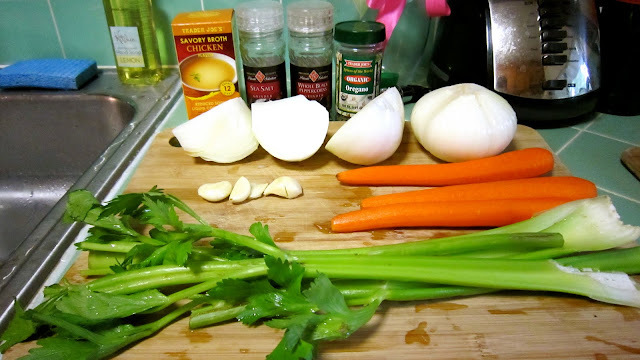 To make the soup more hearty, add kale to the pot for the last 5 minutes (it cooks quickly).